In the instruction boxes below, enter what you would like to see on your personalized item. 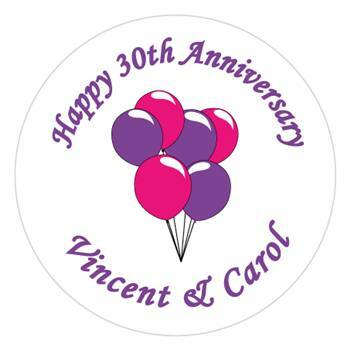 Our personalized Lollipops are fully assembled with labels attached, no assembly required. Another option is to order our personalized 2 1/2" round peel & stick labels and do it yourself. By ordering the "Labels Only", you can save a little money on the product & shipping cost. Personalize the label however you would like, specify your personalizations in the instruction boxes on this order form. Whirly Pop without personalized label.